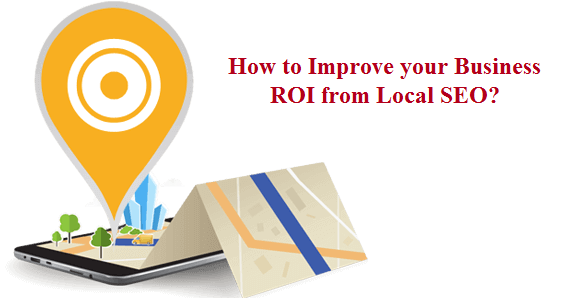 How to Improve Business ROI from Local SEO? Local SEO is an effective way to promote your business to the local audience. It works when the customer searches for the products or services that your business offers. It gathers your complete company information from social media, Google my business page, links, and citations to offer the exact results to the customers. One of the key tools in Local SEO is Google My business; it allows the business owners to publish their geographical information, contact details, products or services to the audience when they search in any Google properties. Google My business will reward your business by displaying it in a slide bar once it verifies your business as authentic. To make your business page valid, encourage your customers to review your business by mentioning your business location name. Add Links: Your business visibility can be increased by adding additional profile links to the Google places. Images: Utilizing the same kind of images on different place pages will help to maintain consistency of the website. Consistent Business Information: It is important to provide consistent company information such as company name, address, business hours, phone number, website and email id. Choose the right business category: The business category that you choose on the Google my business will determine how your business will be listed on Google search results based on the relevance whenever the targeted audience searches. Local Keywords: Use appropriate local keywords after a conducting the research utilizing the analytical tools and determine the keywords for the file names and alt tags. Keep the content updated to make customers informed about the business. Linking Structure: Like external links, the internal linking structure also helps in boosting the Local SEO rankings. The internal links help in quick and easy navigation within your website and it follows a hierarchy and architecture, by creating internal links, it evenly distributes the authority and ranking power. Local Content: It is essential to optimize each piece of content you write for your blogs, articles, and website. Using keywords with geographical search phrase in URL, title, Meta description, headers and Content will improve your local SEO rankings. Highlighting case studies and success stories will also help. It is essential to write the content focusing on local industry and local news that attract the local audience and draws more visitors to the business. Mobile Friendly: Local SEO and mobile search are correlated; most of the mobile users browse search engines for the business reviews, contact information, and location. With a responsive website, you can easily draw users of all display devices. AES Technologies India Private Limited offers you the Local SEO and Google Places Optimization services to improve the inquiries from local audience and increase your website visitors.